I was very interested to find out if students had higher academic achievement when they were more engaged. My thoughts were that, yes, of course they would achieve more if they were highly engaged. I conducted a literature review on the subject. Then I conducted an action research project at my school to find out if the effects of our new interactive math program were having positive results on engagement and achievement. Click on the link to see the entire action research project. This literature review will address the areas related to cooperative learning and engagement/motivation. The first section will address research related to cooperative learning. The second section will focus on research about the effects of structured cooperative groups on student engagement/motivation. Johnson and Johnson (2009) state that if done right, cooperative learning can have many outstanding results on student achievement, self-esteem, and on positive social relationships. The effective structure for cooperative learning includes common group goals, which make students interdependent, along with individual accountability. Effective cooperative groups practice social skills through their interactions and there is an opportunity to reflect on learning. Nolinske and Millis (1999) showcased the many types of structured cooperative learning experiences that teachers can use to increase student engagement and get away from a lecture type lesson. The authors wrote about the cooperative learning strategies with adult occupational therapy students used to increase active learning, promote problem solving, promote group work, and increase the use of technology. The strategies are the same strategies used in classrooms in K-12. The authors talk about the need to change pedagogy to a more learning centered structure where student learning and success are the “ends” as opposed to what is taught in a lecture based program. The teacher is now the facilitator and assists student learning through coaching and questioning strategies. The author listed and explained many cooperative learning strategies such as Think, Pair, Share, Numbered Heads Together, Structured Problem Solving, Round Table, Three Step Interview, Send/Pass a Problem, Generic Question Stems, and Double Entry Journals. The importance of positive interdependence, individual accountability, appropriate grouping, group maintenance and cooperation skills within the learning activities are important to student success. Slavin (1998) discusses the effectiveness of cooperative learning on the skills, abilities, and positive relationships of all groups of students including regular education, bilingual students, and special education students. Not all cooperative learning has the positive effects. Cooperative groups that had group goals as well as individual accountability measures made the highest gains. Group goals with no student individual accountability have been ineffective in raising achievement. The purpose of Slavin’s study was to compare the different forms of cooperative learning to see which had the highest effect on student achievement. They compared group goals with individual accountability, group goals only, individual accountability only, and no group goals or individual accountability. Cooperative learning groups were compared to randomly selected and matched control groups. Various cooperative grouping methods were studied and measured in 4-10 week studies. The studies were compiled and results were measured. Groups that had group goals as well as individual accountability made the highest gains. (Results: group goals with individual accountability (.30), group goals only (.04), individual accountability only (.12), and no group goals or individual accountability (.06). The results also indicated that in addition to increasing student achievement in the group and individual accountability groups, the students made positive gains in interpersonal relationships, self-esteem, and the ability to work with others. In looking at cooperative learning strategies, it is important to look for strategies that include both group and individual goals. Slavin’s two-year study of 1012 second through sixth grade students in five elementary schools in Maryland done in 1995. The control groups were closely matched for SES, ethnicity, and student disabilities. The treatment school adopted Slavin’s cooperative learning model and received training in Cooperative Integrated Reading and Composition (CIRC), Team Assisted Individualization Mathematics (TAI) curriculum, Jigsaw 11, Teams-Games-Tournaments (TGT), and Student Teams Achievement Division. The teachers used these cooperative learning techniques on a daily basis after receiving training. The control schools continued teaching as they always had with no training in cooperative learning. Beginning achievement levels of the students was done with the California Achievement Test (CAT) Form C and was administered in the fall of the first year of the study. The total reading, total language, and total math scores were used for the study. To measure exiting achievement, teachers administered a subset of the CAT, Form E in the spring of both study years. Students were also given a pre and posttest to measure attitudes. Students were asked to rate their attitude toward and ability perception in reading, language, and math. The last measure was social relations. Students were asked to list their friends in class to get a measure of the acceptance of mainstreamed students. Posttests after the first year showed significant differences favoring the treatment group in reading vocabulary. No significant differences were found in the other areas. Posttests after the second year showed significant differences in reading vocabulary, reading comprehension, language expression and math computation (from .21-.29). Looking at student attitude measures and perceived ability in the first year, there were not significant differences between control and treatment groups. However, after the second year, the treatment group had higher perceived ability in reading and language arts (.21 and .26). When measuring social relations, there was no significant difference in pre-measured results for the first year. After the second year, cooperative learning groups listed significantly more friends that the comparison schools (+.42). Other results included significant learning gains for handicapped and gifted students after 2 years. Cooperative learning helps to increase student achievement when it is structured and teachers receive necessary training. Social relations are increased as well as self -esteem and attitudes toward school. 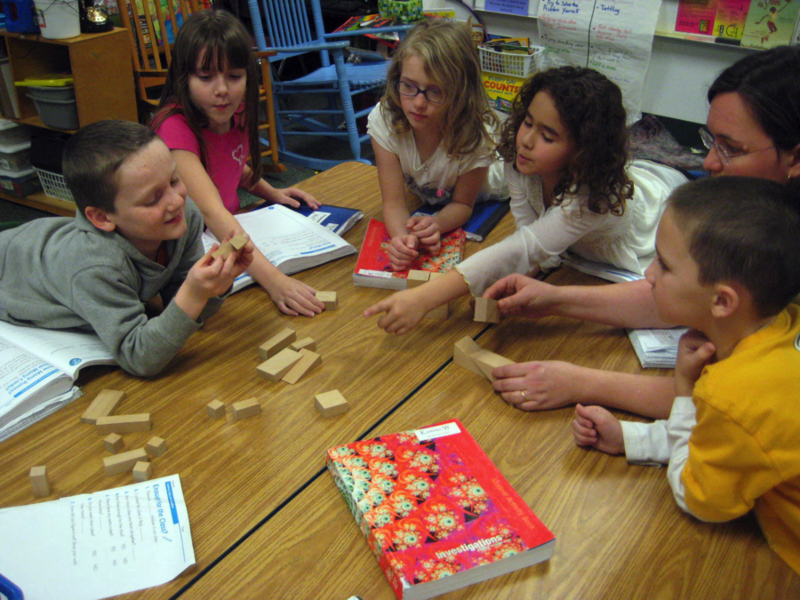 All students, including handicapped and gifted students, benefit from cooperative learning. The biggest results occurred after the second year of implementation. Direct teaching is the mode that most of us are used to learning with. Learning in this way tends to very passive and individualistic. In Bornero’s (2000) study on motivation and achievement, the author wanted to see if moving away from direct instruction and using cooperative learning in a second grade math classroom would reduce math anxiety, generate more interest in math, and improve social skills. The researcher used Plus-Minus Interesting (PMI) reflections to gauge student like or dislike for math and school in general. Teacher surveys were distributed to find out how teachers perceived math anxiety and low math interest, as well as questions about their teaching pedagogy including the amount of time they spend with direct teaching and cooperative learning. The study included 25 students (15 boys and 10 girls, 25% Hispanic and 75% black). From the initial PMI from the second grade students, 20% showed a dislike for school in general and 40% showed a lack of enjoyment for math in particular. Teachers established cooperative learning goals/rules and role played different scenarios modeling positive ways of working together. Teachers began implementing cooperative learning one to two times a week at the beginning of the five month study. At the end of the study, teachers reported team interactions and social acceptance gradually improved. The social environment of the class became more positive and mainstreamed students were accepted and felt part of the group. Teachers noted improved self-confidence in slower learners. There were fewer discipline problems and students improved academically. 80% of final test scores were average or above, compared to 40% the previous year. Student views toward math changed from 45% responding with a neutral or negative response to over 90% responding with a positive response by the end of the project. Students went from two thirds of the class preferring to work alone to three-fourths of the class preferring to work cooperatively. The challenges to using cooperative groups included teacher tolerance for the increased noise level, challenges with student disagreements, and keeping groups on task. Spending the time needed to ensure positive group work is essential. Pedagogy changes usually mean that there will be a shift in classroom expectations. Students working together do make more noise, and teachers need to be prepared for that and set up appropriate expectations. The positive effects on student attitudes toward math and achievement gains far outweigh the challenges. In an article by Johnson and Johnson (2009), the authors elaborate on the application of the interdependence theory on which cooperative learning is built in education. The main points are that social interdependence exists when those involved are affected by their own actions as well as those of the team or group. Members are interdependent through common goals but have individual accountability. The essential elements of cooperative learning include positive interdependence, individual accountability, promotive interaction, (facilitating others to do their best), the appropriate use of social skills, and group processing or reflection. In 1989, Johnson and Johnson did a study of research of cooperative learning on effort to achieve, positive interpersonal relationships and psychological health. They looked at the results of cooperative learning vs. individualistic and competitive learning situations. The average person cooperating was found to achieve an effect size of .67 above the average person in a competitive or individualistic situation. Cooperators spend more time on task (effect size .76 than competitors and .17 compared to individualistic.) Use of insight and higher-level cognitive and moral reasoning of cooperators was higher (.93 for individualistic and .97 for individualistic.). The cooperative efforts had greater interpersonal attraction than competitor (.67) and individualistic (.60). When comparing minority effect sizes, cooperative groups had a higher attraction, .52 and .44 respectively. Cooperative experiences promote higher self-esteem than competitive (.58) and individualistic (.44). Alison Bacon (2012) studied the effects of different teaching strategies on student motivation and focus in struggling 3rd grade math students. The research and data was collected over the period of 2 months at Greenfield Elementary School. The goal was to understand and use the most successful strategies to increase motivation and focus and increase achievement. The teacher gave a student survey on students’ feelings about math, working with others, working alone, homework, math problem solving, and student desire to work hard. The teacher implemented the Everyday Math curriculum supplemented with hands on, real world, authentic tasks, manipulatives, and technology. The teacher asked each student to choose a goal for math. They wrote the goal in their math notebook and had an interview with the teacher to discuss the goal. The teacher provided interactive cooperative experiences, integrated technology, used manipulatives, white boards, prepared interactive study guides, used the interactive white board, hands on activities, and repeatedly asked students to reflect on their goal and if they were making progress. Students all increased their content learning on a pre/post test as well as the student survey. They reported higher levels of motivation and a more positive attitude about math. Students reported an increase in focus when lessons were presented in an interactive model. 100% of students reported that they were more motivated to try their best and that they felt their achievement was a result of the new teaching methods. The positive results from this small group were influential. The author got first hand results using the interactive teaching methods. The author shared her research project with her PLC and will continue to support these motivating methods in the school. If done right, cooperative learning can have many outstanding results on student achievement, self-esteem and positive social relationships. Our current school systems are changing to include with students with disabilities and increased diversity. The use of cooperative learning helps to create positive relationships among these diverse groups. The structuring of cooperative groups to promote interdependence can change more than student achievement. Common goals, individual accountability, practicing social skills and reflecting on learning are all a part of the structure and proven to be the most successful method.